TOKYO - Tokyo Otaku Mode Inc. (incorporated in Delaware, U.S. by President and CEO Tomo Kamei), the managing body of Tokyo Otaku Mode (TOM), a worldwide distributor of otaku content including anime, manga, and cosplay, announces the start of a user submission contest themed after the game series STEINS;GATE called STEINS;GATE Future Visual Contest on May 1, 2014 (JST May 1, 2014, 9:00 p.m.). The contest is being held to celebrate the release of the English version of the PC game STEINS;GATE (special version released worldwide on March 31, 2014, regular version released worldwide on April 30, 2014). Submissions can be of any original work themed after STEINS;GATE from any genre, including illustrations, cosplay, and figure photography. The submission period is from May 1, 2014 (JST May 1, 2014, 9:00 p.m.) to May 31, 2014 (JST June 1, 2014, 9:00 p.m.). In addition to monetary prizes, winning works will be made into T-shirts and sold worldwide as official STEINS;GATE merchandise. The contest is being promoted worldwide on the news page of Tokyo Otaku Mode (http://otakumode.com) as well as on the TOM Facebook page, which has more than 14.5 million likes. Entrants can submit their original STEINS;GATE themed works through the UGC (user-generated content) type gallery service on Tokyo Otaku Mode. Submitted works will be shown in the gallery as well as collected and periodically posted to Facebook during the contest period. Works will be selected based on the number of Facebook likes received and the number of SUKI’s received through the TOM gallery page. Winners will then be selected by TOM, Nitro+, and MAGES (the copyright holders of STEINS;GATE). The Grand Prix winner will receive US$500 in prize money, and as an additional prize their work will be used for one week as the cover photo of the TOM Facebook page to be viewed by TOM’s worldwide fanbase. On top of this, their work will be made into a T-shirt that will be sold worldwide on the ecommerce site Tokyo Otaku Mode Premium Shop (http://otakumode.com/shop) as official STEINS;GATE merchandise. 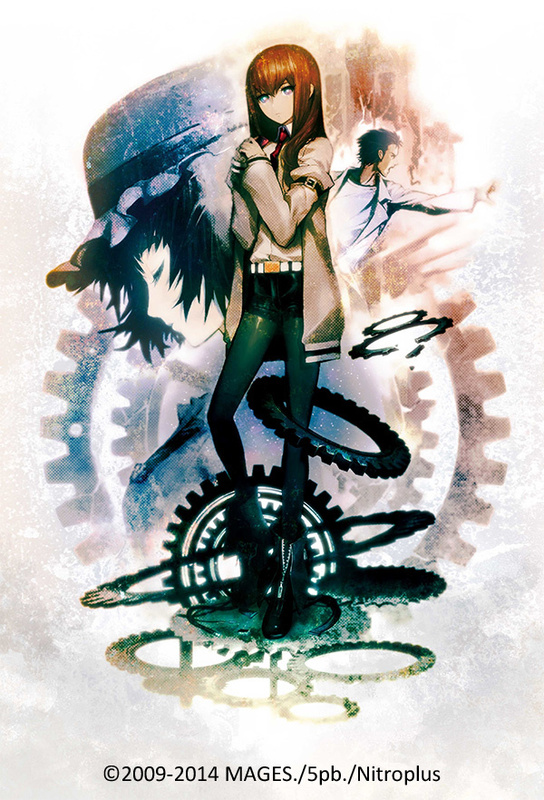 STEINS;GATE began in 2009 as an Xbox 360 game created by game developer 5pb (currently MAGES). It was then ported to the PC and PS3. It has become a popular game series that also spans three spin-off games. Its unique characters and complex story that introduces concepts of time travel have proved popular with fans, and this is evidenced by the series’ diversified expansion into comics, anime, and animated films. Many overseas fans became familiar with the series through the anime, and it can be said that the English version of the PC game has been a long-awaited development for these passionate overseas fans. Through this contest, it is TOM’s aim to expand the TOM brand to overseas STEINS;GATE fans while at the same time offering creators around the world the chance to have their work become an officially recognized product. Additionally, they aim to elevate the satisfaction of STEINS;GATE fans and also promote sales of the PC English version of STEINS;GATE. TOM will continue actively promoting collaborations with businesses and creators to bring new value to the worldwide entertainment market. In order to participate, an account on Tokyo Otaku Mode (http://otakumode.com/) is required. Any original work themed after STEINS;GATE is acceptable. This can be an illustration, video, cosplay photography, figure photography, handmade product, tattoo, or anything else you can think of. You can also enter as many times as you would like. To participate in this contest, registering on Tokyo Otaku Mode (http://otakumode.com) is required. Registration can be easily completed with your Facebook or Twitter account or with an email address. After setting up your account, hover over your avatar picture in the upper right and click “Add Creation.” By doing so, you can upload a photo or video to the gallery. Before completing your submission, just click the box that says “STEINS;GATE Future Visual Contest” and you’ll be entered. Winners will be decided by the amount of likes obtained on Facebook and through a judging process. Winning works will also be introduced on Facebook to TOM’s 14.5 million fans! Winners will be announced in early June on Tokyo Otaku Mode and the TOM Facebook page. MAGES. Nitro+ Tokyo Otaku Mode Inc.
(http://otakumode.com/shop)beginning in June and will begin shipping in July. Tokyo Otaku Mode™ (TOM) is a worldwide distributor of otaku content––including, anime, manga, cosplay, and otaku entertainment news. TOM is owned and managed by Tokyo Otaku Mode Inc., which was incorporated in Delaware, U.S. in April 2012 by President and CEO Tomo Kamei. TOM began on Facebook on March 24, 2011 as a page for introducing to the world Japan’s otaku content––including anime, manga, games, and goods, as well as the latest news and event reports (http://www.facebook.com/tokyootakumode). A mere 22 months after its Facebook page was established, TOM surpassed 13 million likes to become the first Facebook page managed by a Japanese company to clear this milestone*. In the fall of 2012, TOM launched its web service Tokyo Otaku Mode (http://otakumode.com), which includes a user-generated content (UGC) platform on which Special Creators can upload their own otaku creations––such as cosplay, illustrations, figure photos, and latte art––as well as a news page for delivering to the world the latest news on otaku culture straight from Japan. TOM is more than just a site on which to enjoy otaku culture; it provides a community for otaku culture fans to interact with one another. Furthermore, it is a place that inspires artists to create content that otaku culture fans admire and contributes to broadening the worldwide otaku market by providing a platform on which creators rightfully profit from their creations. Through its services, TOM hopes to enrich the otaku lifestyle of all otaku culture fans as well as add new value to the worldwide entertainment marketplace. *According to research conducted by Tokyo Otaku Mode Inc.
Any company or product names referred to herein are registered trademarks of their respective organizations.